Here is a sneak peak at a new song we are writing about awakening to Geoengineering and the globalist agenda. Listen, read the lyrics, and see how many topics your eyes have been opened to. Feel free to share with anyone awake or still sleeping. Any feedback is encouraged and greatly appreciated. 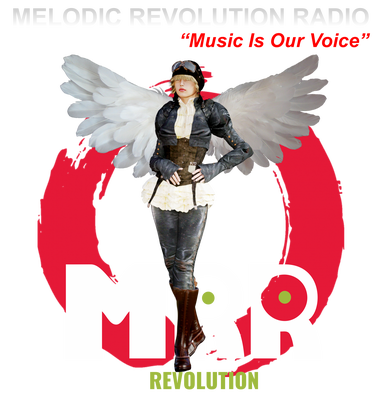 Another AeonSatori development – we are currently being featured on Melodic Revolution Radio homepage! Check it out, a really cool site and internet radio station playing some great music. We have been invited back to the houseofprog.com! This week, we are being featured on Mike Maffei’s Music Vault show. Mike hosts an awesome show and playlist; we are very humbled and excited to be a part of it! Please join us in the chatroom or tune-in on our mobile to the show. 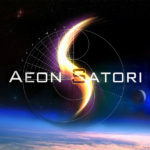 AeonSatori is now on BandCamp! We have recently released our self-produced EP on Bandcamp.com. For those who don’t know already, Bandcamp is a wonderful digital music distribution alternative to iTunes, where the focus is directly on the music and supporting artists while giving fans exactly what they want. Bandcamp is a great community for all music lovers and we thank them tremendously for all the hard work they are doing… only wish we had known about it sooner. EP featured on House Of Prog live radio Friday! AeonSatori is going to be featured in House of Prog radio this Friday Feb 24th at 4PM EST! Here are the Event Details: Bringing you the best in new and classic prog so grab a comfy seat, your favorite beverage and bring your friends along for the ride. I will be spinning vinyl, because music was meant to be heard one side at a time. Plus a new special show feature called ‘The Missing Groove,’ this is where I feature one side of a CD or Digital album that is not available on LP, but is Vinyl quality and should be released on wax. We are currently preparing a new song for the 2017 Full length Album, song tentatively titled “Behold the Pale Horse”. It begins as somewhat of a dark march feel that escalates in drive and intensity. The message attempts to expose many of the current “evils” of our time, the escalating destructive forces driven by covert secret agendas hiding, yet in plain sight. The alarms are sounding; many are awakening to an escalating inner voice that is calling to “rise” and actively respond to defend all that we deem “loving, innocent, good and true”. Below are some of the lyrics that came to us that are still in development. Hopefully they reflect some of that angst and birthing energy of our times, and give a sense to people that they are not alone in this uncomfortable energy. Energy that we can no longer ignore nor sweep under the rug with “superficial pleasantries.” Critical feedback, reaction, and open discussion most welcome. Hope to give a peek at the music (even if only in rough form) soon. Violently shaking like no other can…. Had a preliminary meeting with Billy Sherwood about the possibility of mixing and/or producing our debut EP with us as we finish the AeonSatori RISE album. We let him hear 3 selections in rough and he seemed genuinely happy and somewhat excited with what he heard. We found Billy to be a very warm, reasonable, down to earth, and intelligent professional and person. A good soul 🙂 We are so happy to have met with him. Jon’s ear has let up in the past few weeks. He has been suffering from a disease called meniere’s for that past couple of years. As you might notice this has put us in somewhat of a crawl mode for creating new material because we have to wait for moments when Jon’s ear can handle the audio without inflicting unnecessary pain and suffering to him simply to include him in the music making process. Regardless me and Tyler go off to our corners and continue to produce new material in its rough forms which we call “Jon’s premix”. We have about 4-5 more songs preliminarily recorded waiting to get Jon’s input in the composition and arranging, and then a collaborative mix to make them presentable for public listens. So we are still working on music that we deem solid works but just don’t have it polished enough to keep from blushing in a public setting… I can tell you that I hope you are as amazed and inspired listening as we are assembling it. I must say we are very happy with what we can produce even when our hands are cuffed so to speak….. We will never give up, never surrender! yay!